Let me tell you a story about a talented South African artist, an impressionist who could turn even the most mundane of subjects into something quite extraordinary with his use of vivid colours, unconventional perspectives and bold brush strokes. He was recognised as a pioneer of urban black art in South Africa - he broke the "native" mould and captured in brilliant hues the vibrant street life of iconic communities like Sophiatown and District Six. In 1940 one of his works became the first painting by a black artist to enter a museum collection. The only way he could see it on display at the Johannesburg Art Museum was to pretend to be a cleaner. Later in life he was hailed as Africa's first great Impressionist and recognised as a master. Today, many of his paintings are worth millions of rand each. He had only picked up a colour pencil for the first time as a teenager. It already reads like a novel, doesn't it? But the plot thickens from there. Gerard Sekoto's 1939 "Street Scene" wasn't the most famous or the most impressive of his many depictions of everyday life, but it was a beautiful artwork and a piece of history. It was stolen from the Pretoria Art Museum (PAM) in mid-November along with works by fellow South African greats Irma Stern, JH Pierneef, Maggie Laubser and Hugo Naude in a precise, well-planned heist. Well, perhaps it could have been better planned. A sixth painting (a R12-million Stern, the most valuable of the lot) was left lying on the pavement outside the low-slung building and its grassy park, its liberators unable to cram it into the small car in which they made their getaway. Four of the pictures were found days later, abandoned one thousand kilometres from home under a dusty outdoor bench at a graveyard in Port Elizabeth. "Street Scene" wasn't among them. Now the oil painting's pastel tones can only be enjoyed clandestinely in smoke-filled back rooms, dark corridors and dim basements. Perhaps the man with his hat and his walking stick, the woman balancing a white bowl on her head and the young child disappearing into the background of the canvas have already been fenced. Maybe they're wrapped in drab brown paper, languishing in a nefarious art collector's private vault or reluctantly being lined up for a ransom by a black market dealer. Wherever they are and in whatever condition they find themselves, the characters of "Street Scene" have been stolen from the South African public, and we are the poorer for it. Perhaps the artwork's notoriety will mean that, if it's ever found, it will be worth far more than it was when it was snatched off the museum wall and stuffed into the back of a silver sedan, and it will be all the more celebrated when it goes back on display. But if it remains missing we will have lost an honest, emotional, historical account of a way of life already long gone. Sekoto was never formally trained as an artist so his technique was raw, unfettered and came straight from the heart. He painted what he saw, unfiltered through any lens but his own. Now the particular message of this one oil canvas will never be heard, seen or felt by the troops of school children who are herded through the Pretoria Art Museum, the seasoned art lovers who come to sit and stare and think, or the curious walk-ins looking for a taste of local history and culture. I for one am bitterly disappointed by that prospect. As a man who used to hide his paintings under his bed, I imagine that were Sekoto still alive, he would be equally unhappy to hear that one of his works had been plucked from its display and was (possibly irretrievably) lost. For the security at the museum to be so lax that art thieves could simply walk into the building with a veritable shopping list, cherry-pick the paintings they wanted and waltz out again with nary a shot fired or an alarm bell set off, is nothing short of an indictment. The fact that four of the canvases were recovered by what appears to be sheer dint of luck is also worrying. Don't get me wrong, I'm glad they're back no matter the circumstances, but I would rather have heard that their recovery was the result of good old fashioned police work. According to the PAM website, the old local masters' works are now in storage until further notice. Is that a tacit admission that security is not currently up to scratch? And does that in turn mean that it perhaps hasn't been for some time? The museum has been stunned into action and the proverbial stable door has been closed, but I still can't understand why this theft was even possible in the first place. Do we value our own local art, our own record of history, so little? Surely if a similarly world-famous European master's works were on display at the same venue, this would never have happened. The police hunt for the stolen Sekoto seems to have gone quiet (or perhaps it's just the media coverage of it) and with every day that the painting remains missing, the hopes of finding it must be fading. I suppose it's somehow understandable that, in a country where authorities are dealing with violent crime on a daily basis, the search for one stolen artwork isn't an absolute priority. Yet what's at stake here is, to me, just as important as catching violent criminals: it's a piece of history that we have allowed to be taken from us and that we must fight to regain. Sekoto died alone in 1993 at a retirement home outside Paris, only months shy of his 80th birthday. He had resolutely refused to return to South Africa from his self-imposed exile there because he was filled with bitter memories of his country and his past. I hope his painting will not suffer the same lonely fate as its creator. 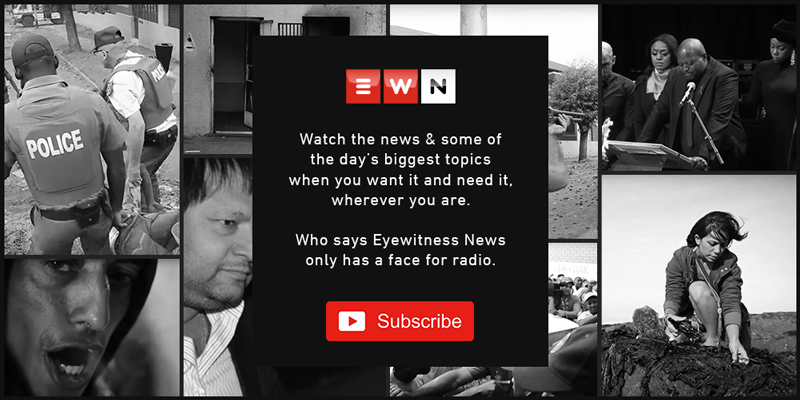 Camilla Bath is the EWN Deputy Editor in Johannesburg.